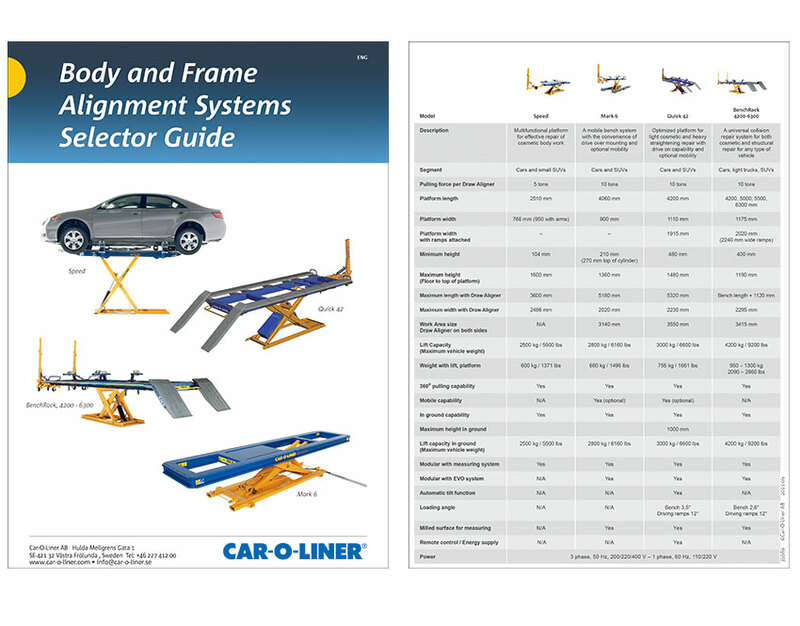 Not sure which Car-O-Liner alignment bench is right for your body shop? Here is a quick overview of the functions and features of our benches: Quick 42, BenchRack, Mark 6 and Speed. At Car-O-Liner you’re sure to find the perfect bench to give you easy set-up, quick diagnosis and fast repairs – everything you need to increase your profits!